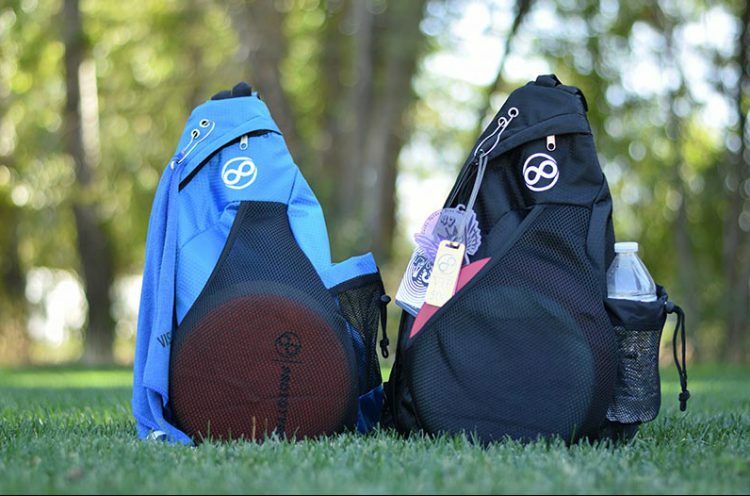 Here at Infinite Discs, we’ve been listening to our customers and have worked to fill a niche for lightweight, inexpensive disc bags for casual rounds. 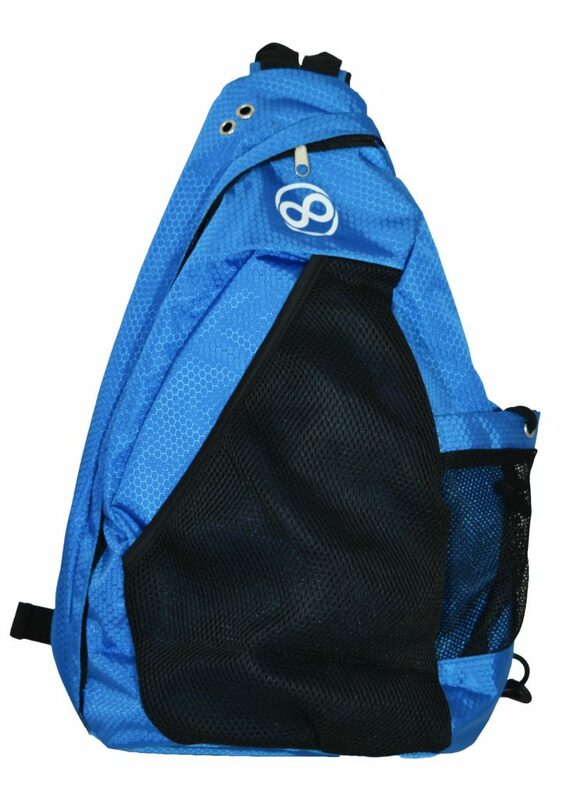 We’ve meshed the simplicity and low price of a starter shoulder bag together with the comfort and convenience of a backpack. If you want to head out to the course with a dozen discs, this is a great way to do it. 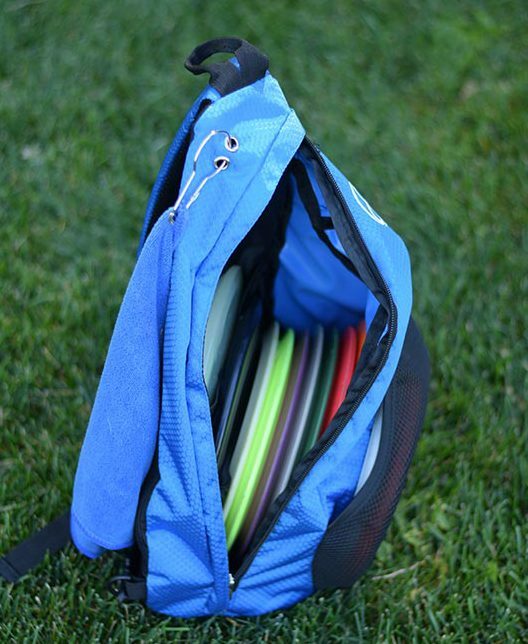 The Infinite Disc Slinger is a quality bag option for beginners as well as experienced players who don’t want to deal with the bulk of a large tournament bag or cart. 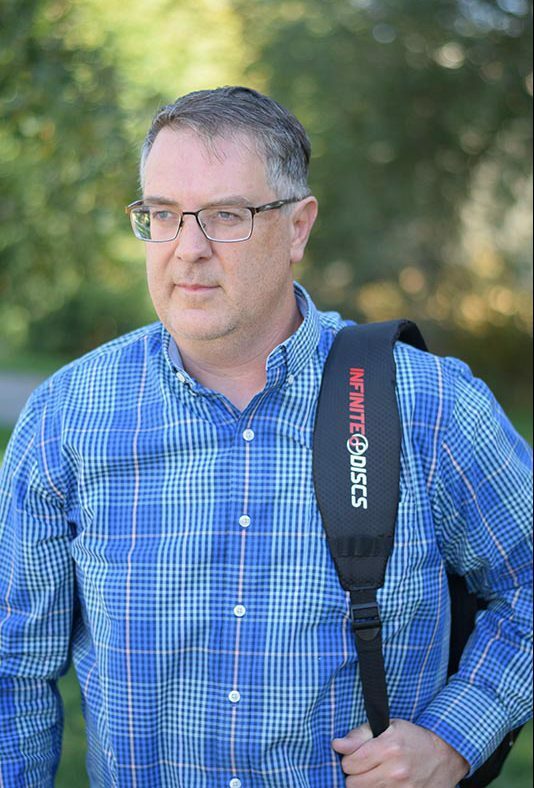 You can throw it over your shoulder (the strap can be adjusted for whichever shoulder you prefer), carry it in your hand, or sling it across your body like popular sling bags. 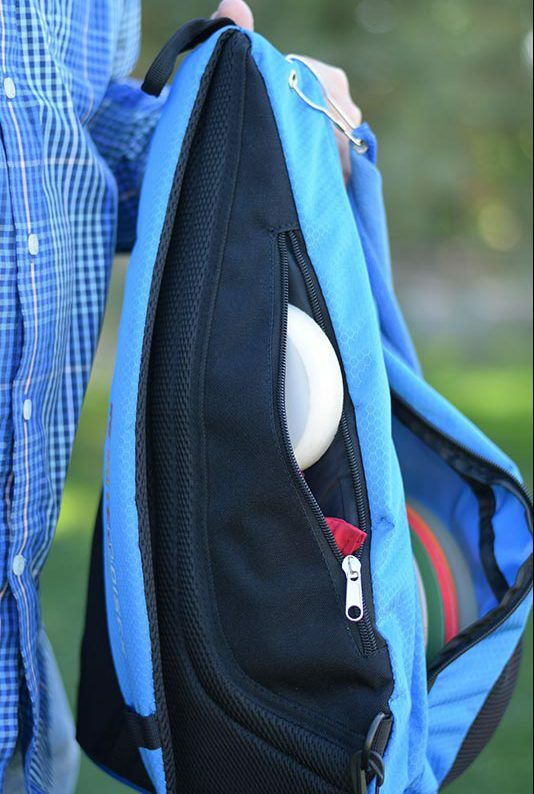 The inside pocket carries up to 10 discs, including two inside slots for your go-to discs. The putter pouch on the front of the bag easily carries two putters and even fits oversized discs like the Condor. 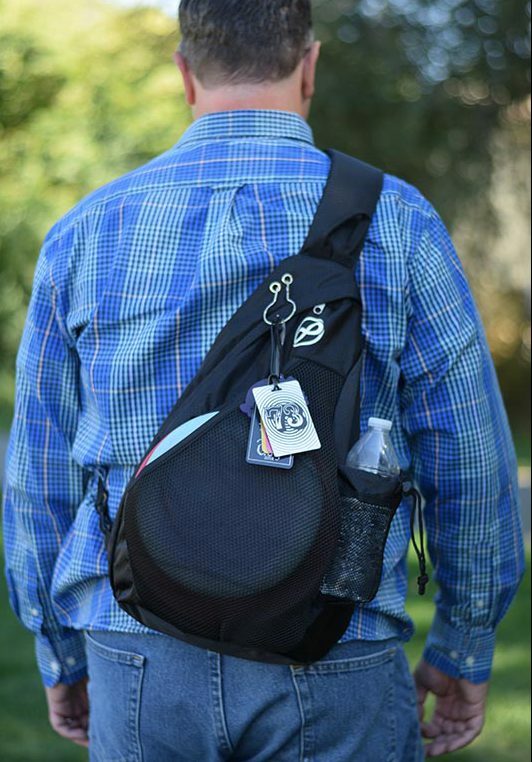 The drink holder carries water bottles and drinks with an adjustable pull string. 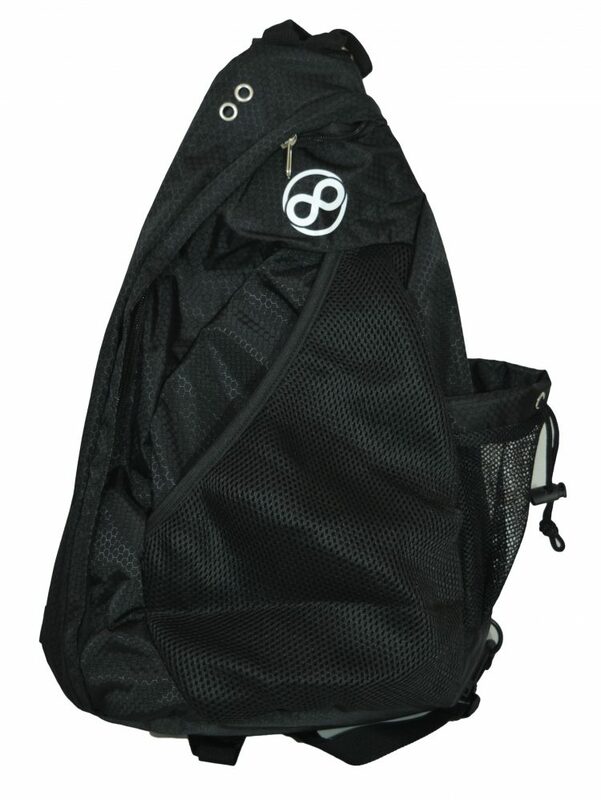 Vertical zipper pocket on the back of the bag carries your keys, wallet, mini, grip bag, or other small accessories. Double eye-hole on the top of the bag allows for easy clipping of your towel and bag tags. 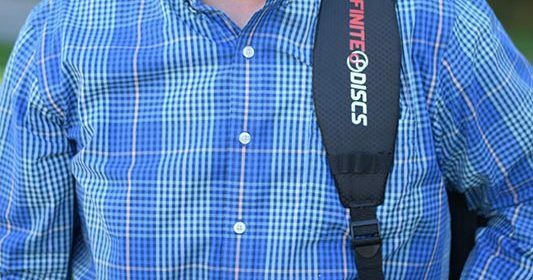 High quality, padded shoulder strap for hanging on your shoulder or adjusting for wearing across your chest (sling bag). Adjustable strap clips in two different possible configurations so you can adjust for your preferred shoulder. 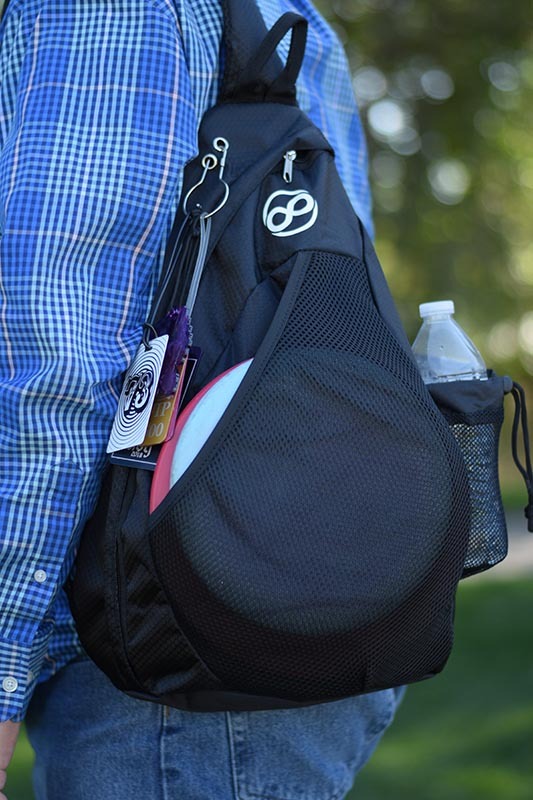 It’s hard to pick up any kind of bag that carries your discs around so comfortably for just under $20. We’re happy to provide some options! The Infinite Disc Slinger is currently available in black or blue. This looks awesome. Think I might get one for when I travel!